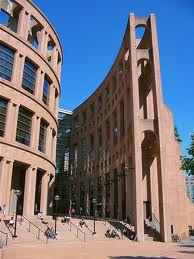 PsychologySalon has allied with Vancouver Public Library to present our monthly talks at Library Square on Robson Street downtown in 2012. This new relationship allows us to eliminate all fees for our talks, which henceforth will be free! It has been our goal to make these talks as accessible as we can, and VPL is helping us reach this goal. No more tickets, no more reservations, no more costs. Monday March 26. Out of the Blue: The Nature and Treatment of Clinical Depression. Speaker: Dr Randy Paterson. Tuesday April 24. Learning to Love Your Emotions. Speaker: Dr Lindsey Thomas. Beneath the concourse, stairs at left. Tuesday May 22. Overload! Create a Less Pressured Life. Speaker: Dr Randy Paterson. Tuesday June 26. Put Off Procrastinating! Speaker: Dr Ekin Blackwell. All talks run 7 pm to 8:30. Come and join us.